The ochre buildings do not lie. The cobblestone streets do not lie. Listen close enough and you’ll know this to be true – their fervent promise that you’ll lose yourself. The captivation is inevitable; you will soon yield to the intrinsic beauty and calm of this land among the handful that can be illuminated by the midnight sun, and is peopled with pragmatic, inspired people for whom “moderation isn’t simply a concept constrained to be understood… but a lifestyle that transcends human behavior, art, and philosophy.” Swedes even have a word for it, lagom – not too little, not too much, just right. It is the onset of autumn, and trees have begun to boast a wider plumage of colors right before shedding their leaves altogether. A lightly blowing wind brings a gentle chill, allowing us to enjoy the pleasant outdoors in the bright sunshine. Today’s a perfect day, as we’ve caught the Swedish weather on its best behavior. A walk through Gamla Stan (Old Town) is singularly rewarding. This place, where Stockholm was founded way back in 1252, has a much-deserved reputation for being “one of the largest and best preserved medieval city centers in Europe,” and is understandably a big source of pride for the locals. Let’s not forget, too, that Sweden is where Ikea, Spotify, and, yes, Abba, come from. Here is where we acknowledge the humane, brilliant deeds of men through the Nobel Awards. Mamma Mia, indeed. “The reason we selected Stockholm… is because the energy and creativity that this city has is world-class,” begins David Nordstrom, Lexus Asia Pacific vice-presidentat presentation held at the Delight Studios in Nacka, which we reach via boat on one of Lake Mälaren. The city is sprawled throughout 14 islands sitting on the majestic body of water. 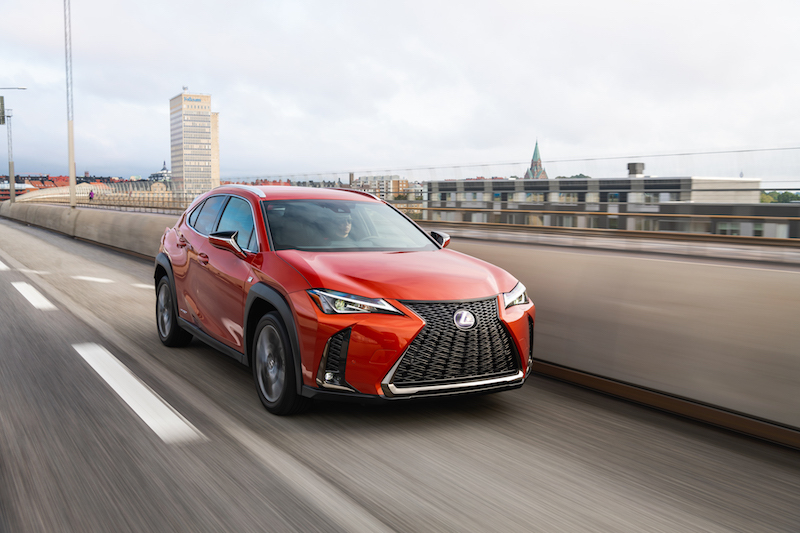 Nordstrom may have neglected to draw the connection, but the Swedish capital is, really, much like the Lexus UX – the primary reason that motoring journalists from allover the world have descended upon this beautiful place. The first in its lineage, the UX takes its place as the smallest crossover in the premium carmaker’s already formidable lineup. 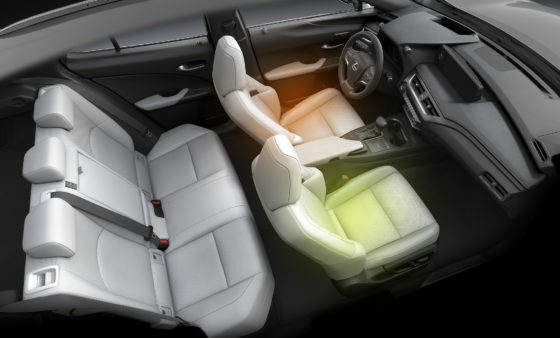 Additionally, the UX is seen as the entry into Lexus – and a lot of people will be expected to make their acquaintance with the brand via this feisty compact ute. And if we go by what the company executives are anticipating, this vehicle will be their first luxury vehicle – period. The two letters stand for “urban crossover” – this SUV’s avowed mission as transporter/enabler for urbanites with a hankering for anything from a grocery run to a jaunt through mountain passes. It is also a true reflection of a new paradigm. 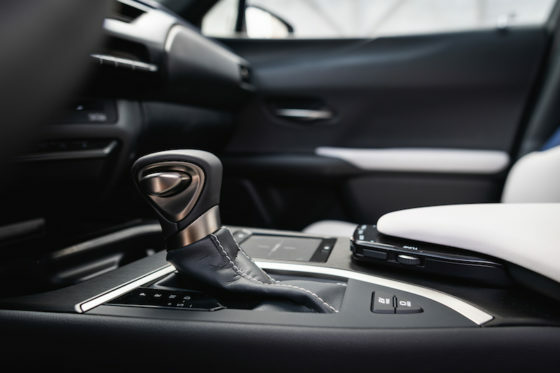 At the helm of the design team which conceptualized and crafted the UX is the first female chief engineer in the Lexus organization. The very personable Chika Kako, who is also its first female managing officer, shares, “In developing this vehicle, I drew heavily from my prior experience in Europe. While on overseas assignment at our R&D division there, I got a fresh perspective of the varied philosophies behind luxury and wealth.” The intangibles of time, experience, and beauty appear significantly on the aspirational radar, and these are values UX strive to address. 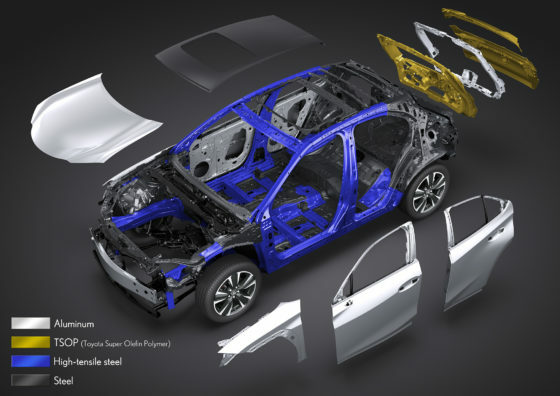 Kako and her design team wanted to evoke an “emotional connection with the driver” in this vehicle that is more than merely the sum of its highly detailed parts. 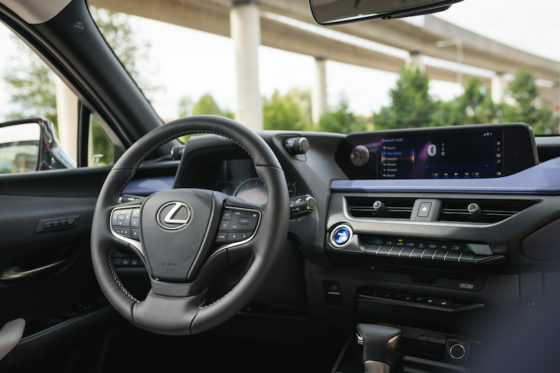 More than simply filling an open niche in the Lexus SUV portfolio, the UX brings to the table a compelling vehicle worthy to stand above the shoulders of competition in the segment (and, we expect, price point). 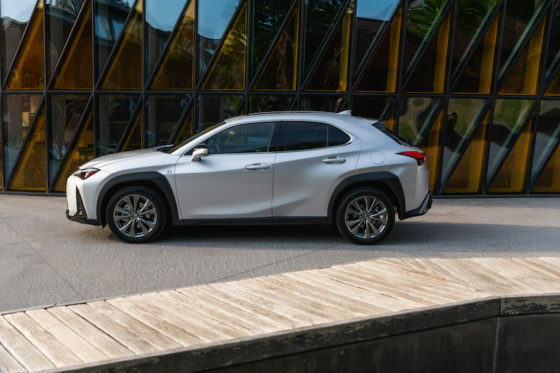 Badged as a 2019 model, the UX rises on the Global Architecture-Compact (GA-C) platform which, according to Lexus, is “a lightweight yet super-rigid structure (with a) low center of gravity.” A well-tuned suspension gives the vehicle exemplary handling agility and ride comfort, along with a distinctive driving personality. 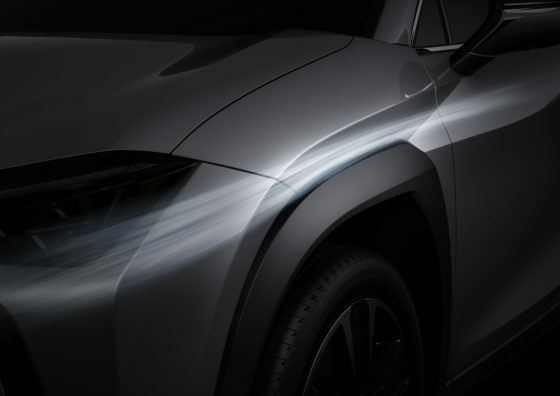 As we go to press, we know that the Lexus UX will be made available in the Philippines before the end of the year. 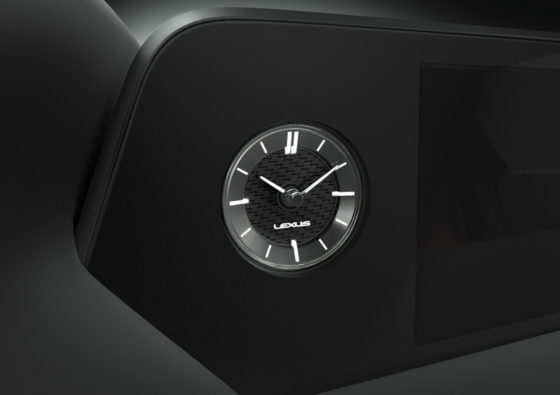 We can’t get more detailed because the final specifications of the release here are still being mulled over. At Stockholm though, we know that there are two main variants. 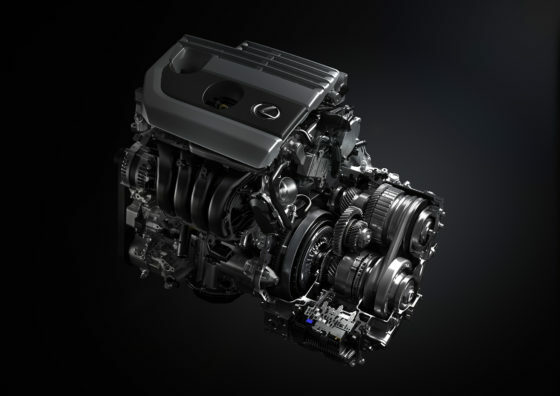 The front-wheel-drive UX 200 banners a new high-efficiency 2.0-liter, four-cylinder engine coupled with a new Direct Shift Continuously Variable Transmission, while the UX 250h pairs an even higher-efficiency version of the 2.0-liter gas engine with a new fourth-generation hybrid drive system engineered specifically for this platform. 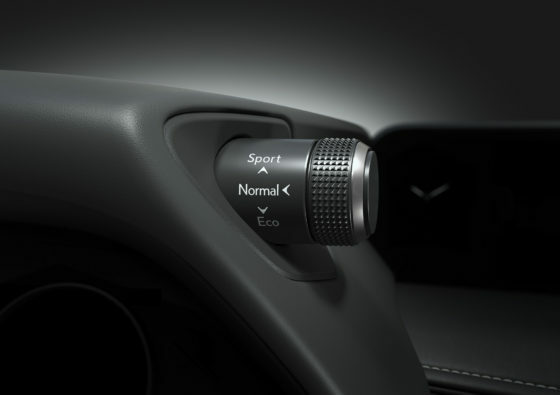 And, yes, Lexus hears you, F Sport fans; don’t fret or chew on your fingernails. Both variants can be had in that spicy flavor. 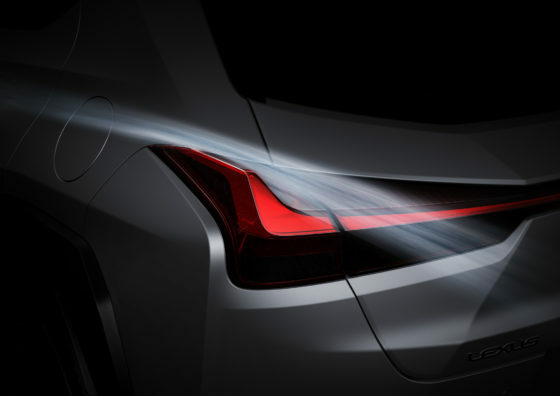 So even if Lexus Philippines, say, nixes the idea of bringing in the hybrid version, I’m willing to bet my freshly washed Star Wars socks that an F-Sport will still be in the offing. 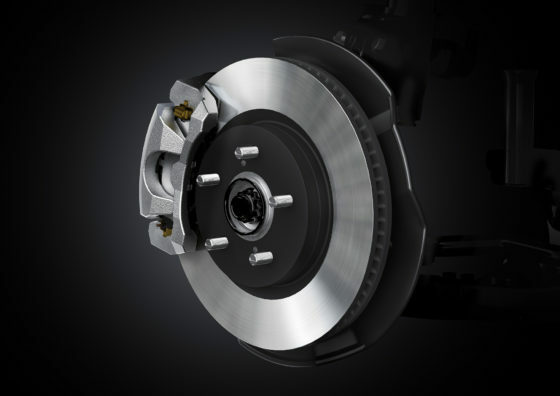 That variant rewards drivers with sporty suspension tuning with specific springs and stabilizer bars, along with a rear performance damper – resulting in a more refined ride. And because Air Jordans are only for humans, the F Sport shoes are 18-inch, five twin-spoke aluminum alloys promising increased rigidity and, ultimately, heightened responsiveness and handling. F Sport also means never having to say you’re sorry. 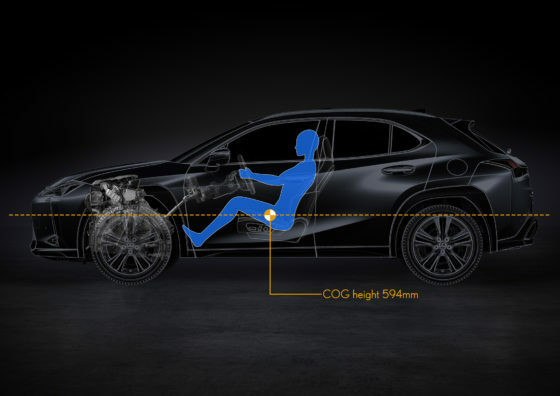 You can opt for a ”UX-tailored version of the new high-response Adaptive Variable Suspension (AVS) system that debuted on the Lexus LC and LS flagship coupe and sedan.” What this means, aside from the being mentioned in the same sentence as the LC and LS, is increased damping force leading to minimize roll when cornering or changing lanes. 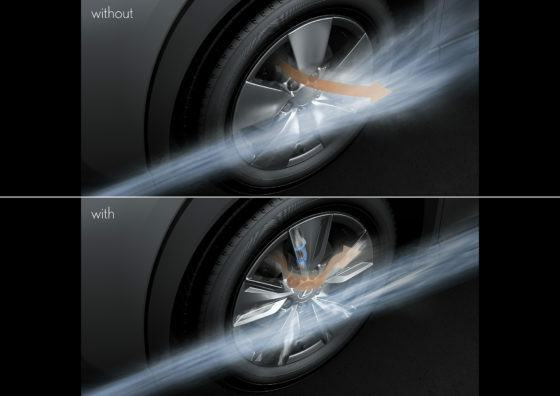 The feature also preserves ride quality by putting a lid on damping force in straight-line driving. The AVS feature also means the addition of “S+” in the Drive Mode Selector. Aside from a sundry of plusseslargely out of view, the UX F Sport, of course,gets tangible accoutrements such as a different grille design (with a mesh pattern comprised of individual L-shaped pieces), large fog lamp bezels with L-shaped chrome moldings, a revised rear bumper, and jet-black trim on the front and rear moldings. 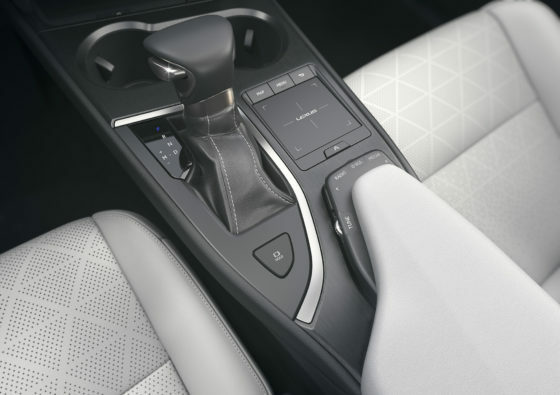 Inside, this UX variant receives front sport seats, a leather-covered F Sport steering wheel, leather-trimmed shift knob, and aluminum pedals and footrest. Even the TFT LCD display is larger (eight inches); the regular variants are. Other upgrades are available, in the off chance you haven’t been convinced already. The proof is inevitably in the pudding. The bucket-list experience of experiencing a new car in a new place (at least for this writer) comes together framed in a perfect, storybook drive. Respectful drivers, pristine thoroughfares, verdant tableaus. I could go on as endless as the number of islands (some 24,000) of this storied Scandinavian archipelago. Speaking of which, you all have to excuse me while I make the most of my driving time aboard the UX in unforgettable Stockholm – a city that keeps its promises. 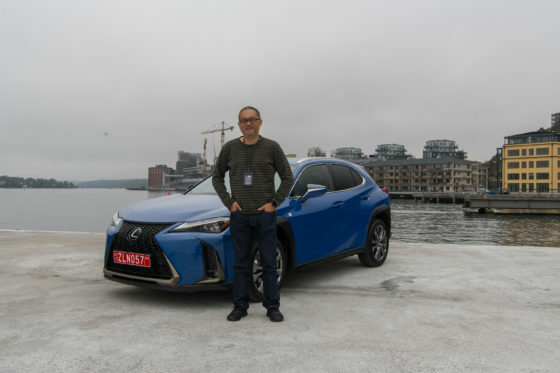 * (UPDATE) The Lexus UX is now available in the Philippines in two variants — the UX 200 and UX 200 F Sport priced at P2.478 million and P3.048 million, respectively.